Patients receiving treatment at the renowned organ transplant programs at NewYork-Presbyterian/Columbia University Medical Center may be unaware that just beyond their treatment rooms, a one-of-a-kind research powerhouse is quietly at work conducting some of the most vital studies underway in transplant immunology today. 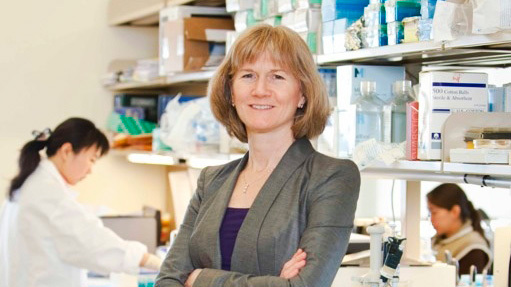 The multidisciplinary Columbia Center for Translational Immunology (CCTI), established in 2010 under the leadership of Megan Sykes, MD, Director, is performing a host of cuttingedge studies. The work aims to increase understanding of immunologic diseases and directly translate that knowledge to the development of new or improved clinical therapies for transplant patients at NYP/Columbia and beyond. Of these areas of study, one area holds particular importance for patients undergoing organ transplantation: hematopoietic cell transplantation (HCT). Hematopoietic cells are cells (including bone marrow cells) that develop into blood cells; transplantation of these cells from a healthy donor, the most widely used form of cellular therapy today, is the only known cure for certain blood cancers (leukemia, lymphoma, myeloma) and is performed in approximately 60,000 patients each year for that purpose. But HCT also has the potential to reverse the autoimmune process responsible f or diseases such as type 1 diabetes–and to induce tolerance in patients who receive organ transplants. When a patient receives a heart, lung, liver, kidney, or pancreas from an organ donor (living or deceased), the patient's immune system will recognize the foreign tissue and mobilize to reject the organ unless he or she takes medications that suppress the immune system's natural processes. These medications, known as immunosuppressants, are a lifelong requirement after organ transplantation. While these drugs allow people to tolerate the presence of foreign organs, they also increase patients' risk of contracting infections, and infections and are associated with other undesirable side effects. The ability to induce tolerance to a transplanted organ, allowing it to thrive in the body without requiring these life-long immunosuppresssants, would signify a dramatic improvement in quality of life for patients undergoing organ transplantation. For many in the field, induction is considered the "holy grail." 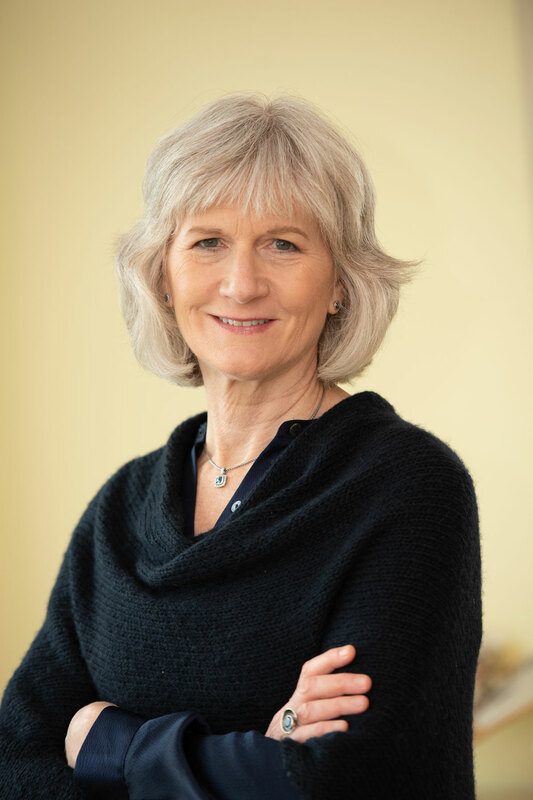 During the last decade, Dr. Sykes' research in HCT (begun while she was Associate Director of the Transplantation Biology Research Center at Massachusetts General Hospital) has produced notable results toward that goal. In one protocol, out of ten patients studied, seven have achieved long term tolerance, so far lasting three to ten years. Although several other U.S. hospitals have subsequently attempted similar protocols, this has been the most successful and longlasting tolerance demonstrated to date. To achieve these results, Dr. Sykes' team first administered drugs known as a "conditioning regimen" to reduce both the immune function and the numbers of the patients' own bone marrow cells. Next, they performed bone marrow and kidney transplants from living unrelated donors. A short course of immunosuppressant medications was administered immediately after transplantation, and then tapered down and stopped altogether. According to Dr. Sykes, it was remarkable that tolerance was successful even when the donor's most potent transplantation antigens were mismatched to the recipient's. Most bone marrow transplants normally require a match between the donor's and recipient's human leukocyte antigen (HLA) system, part of the immune system which encodes the most potent antigens. Performing bone marrow transplants across the HLA barrier usually results in serious, systemic rejection known as graft versus host disease (GVHD). Using the protocol mentioned above, however, they achieved significant success without GVHD even across HLA barriers. "These are exciting results showing that we can achieve robust tolerance," says Dr. Sykes. eventually, expanding tolerance studies to lung and heart transplantation. Markus Mapara, MD, PhD, Director of the Blood and Marrow Transplantation (BMT) Program at Columbia University Medical Center, will collaborate with CCTI to develop novel hematopoietic cell transplant protocols beginning in 2013. According to Dr. Sykes, "The establishment of the BMT program is a key step in allowing NYP/Columbia to take a leadership role in these promising new applications of hematopoietic cell transplantation." CCTI and the BMT program will further collaborate with leaders of the NYP/Columbia kidney and liver transplant programs, including Drs. Lloyd Ratner, David Cohen, Waichi Wong, Jean Emond and Tomoaki Kato.